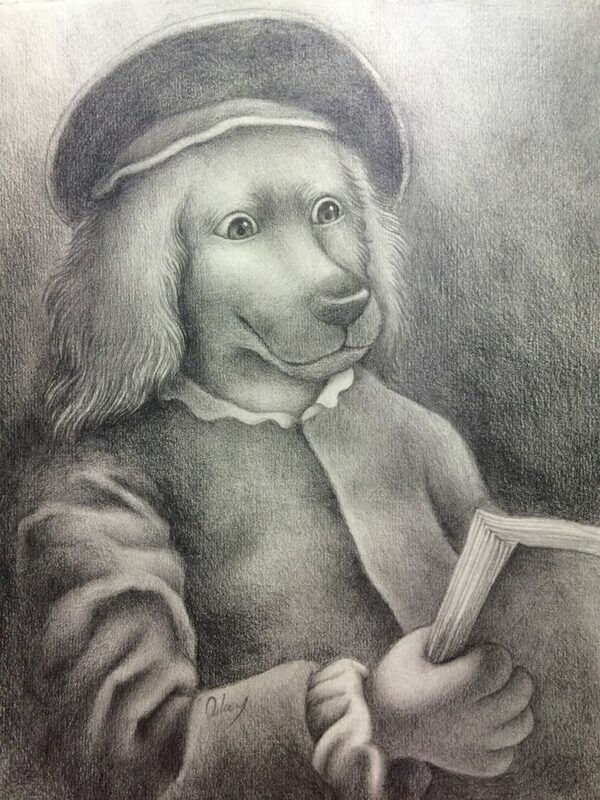 Here is my pencil drawing of character design practice. 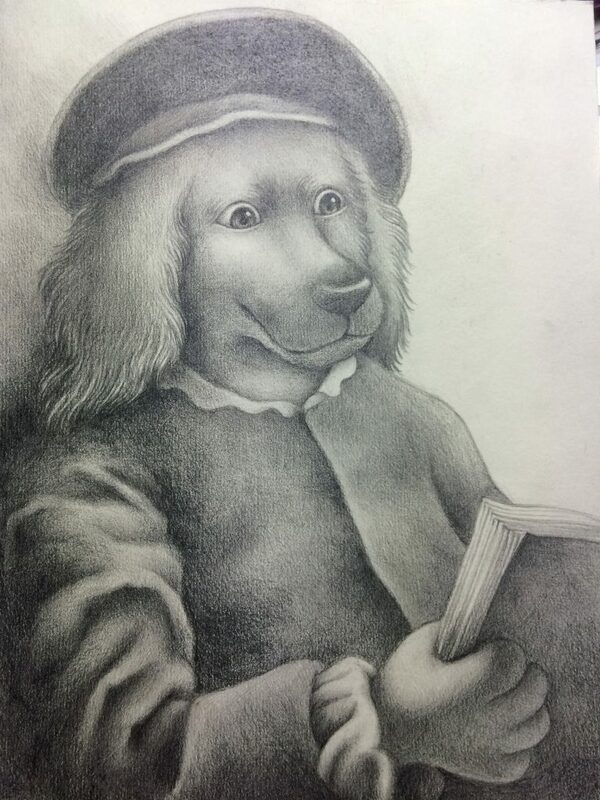 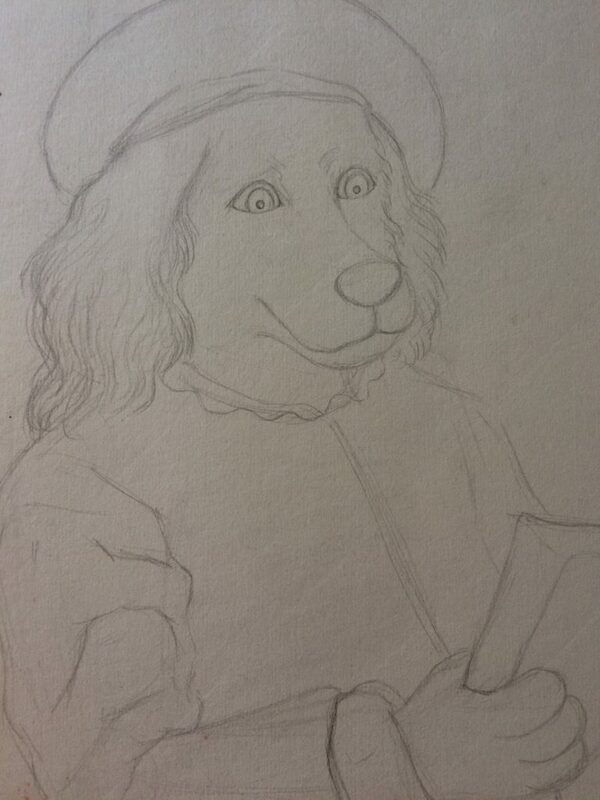 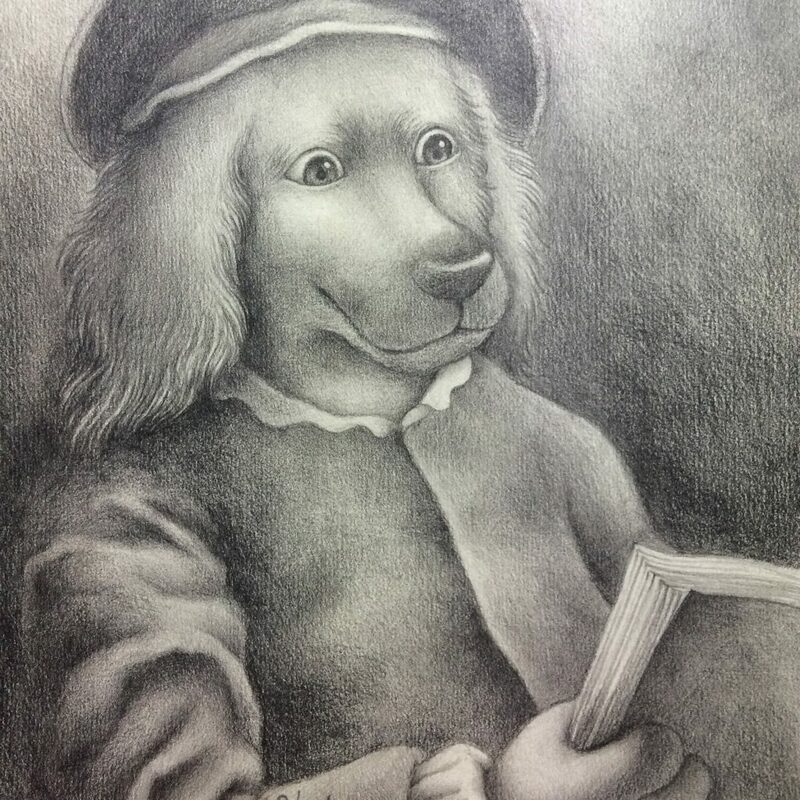 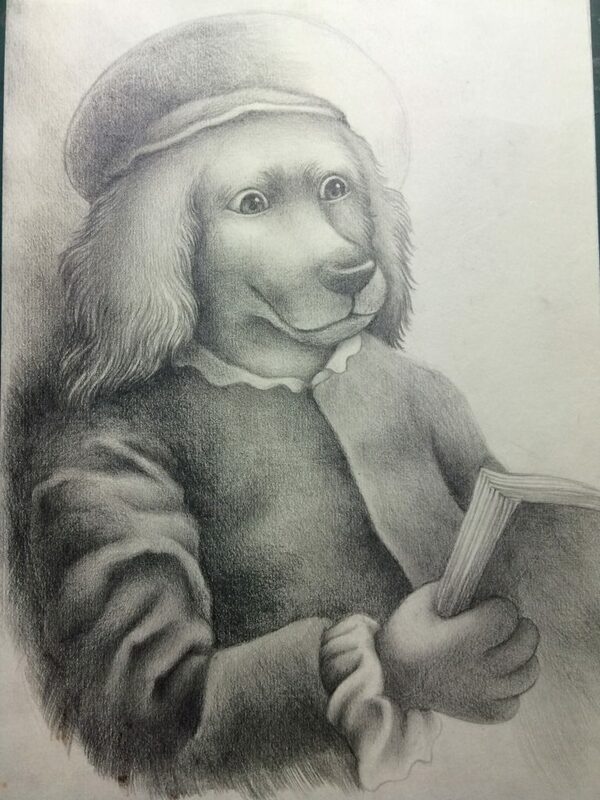 I drew the dog is reading a book which looks like a human. 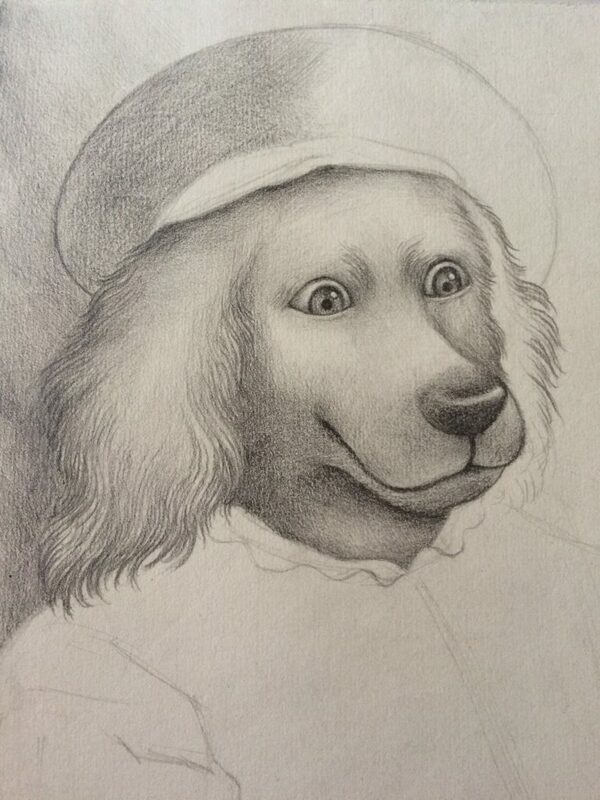 Besides, I also catch the position of lights and shadow to intimidate the painting style of Baroque. 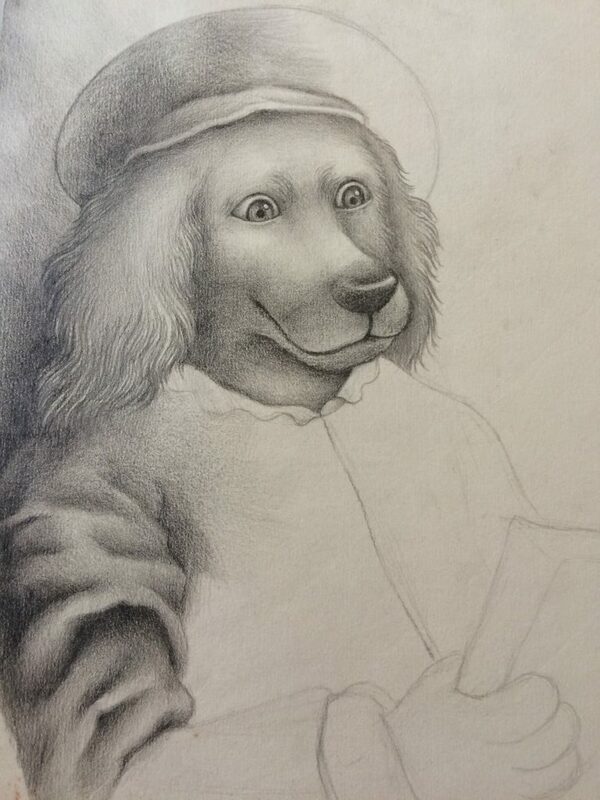 During the process, I found that lights and shadow are the essential parts of the atmosphere, and the method of Baroque and Renaissance made the dramatic effects of lights and shadow. 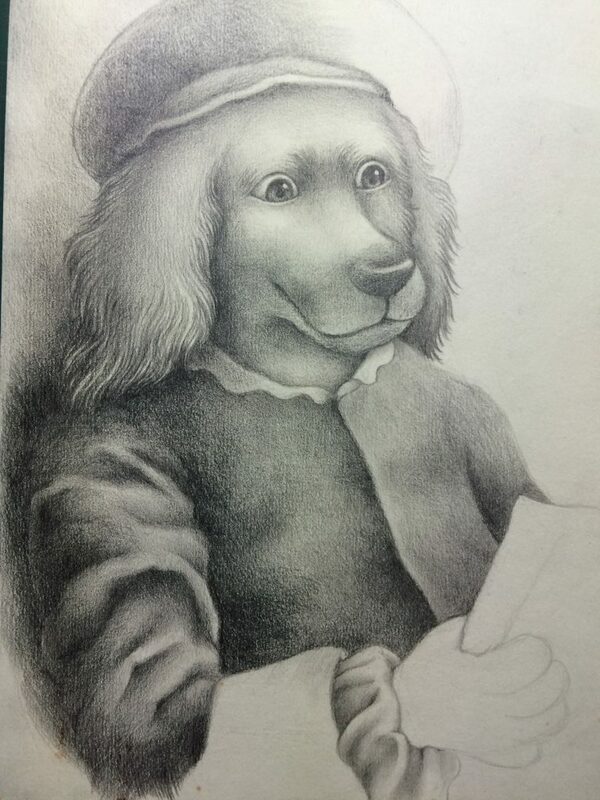 Moreover, the whole process of this drawing was recorded in many photos to show every step from simple lines to a picture with much more details. 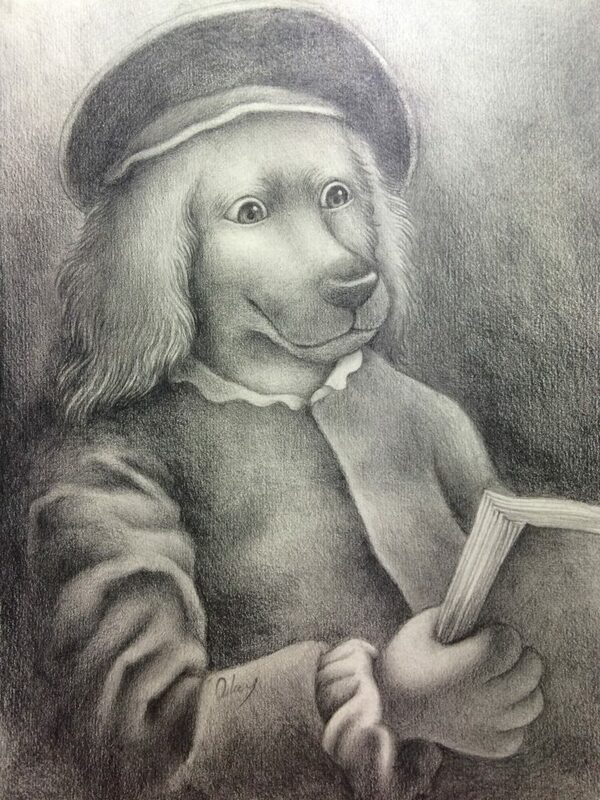 The reason I want to draw the animal as a character is I found that animals have become famous and there more people concern about environment and animal care issue. 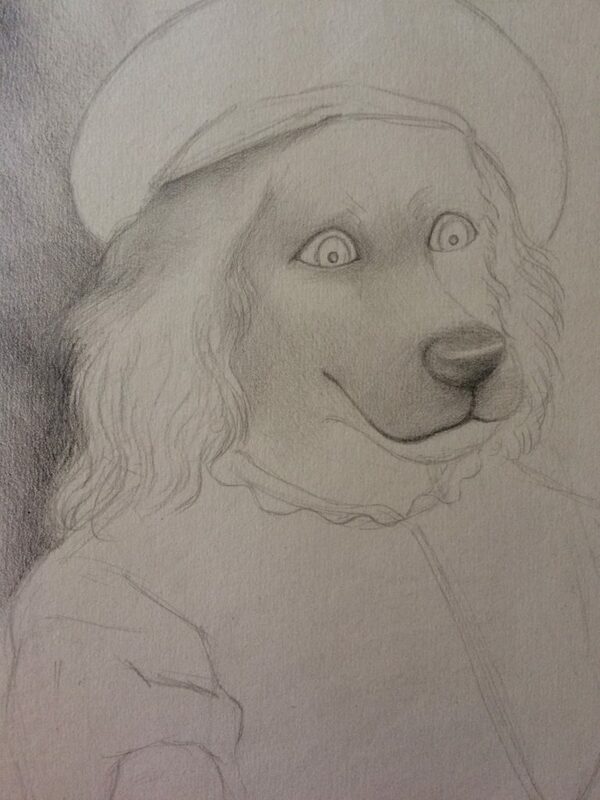 So I decided to draw something related to animals, entice them to do human’s things. 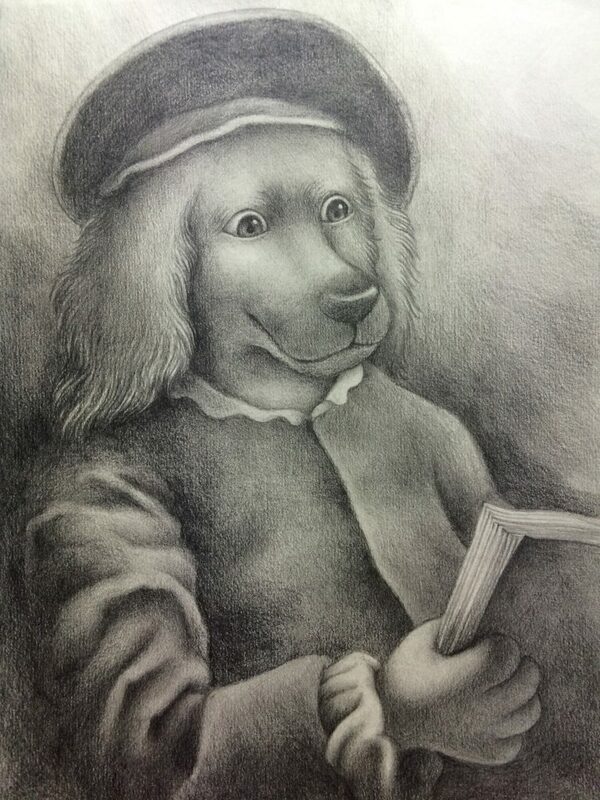 Reading Time26*19cmSketch paper, Pencil: 2B,5B, 6B, 8B.